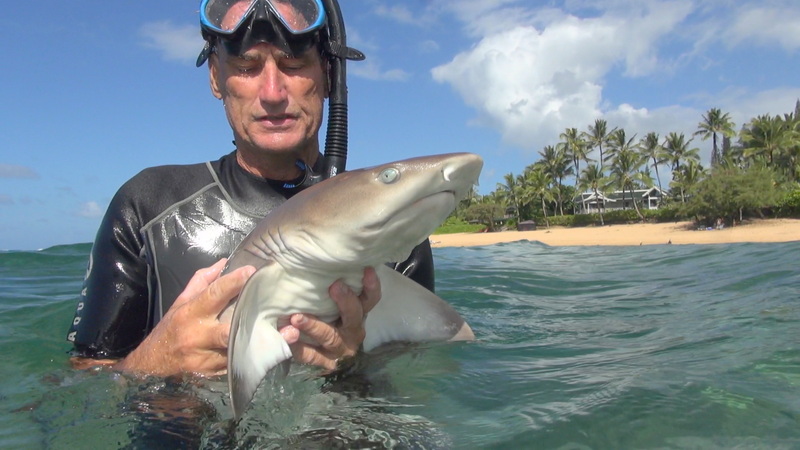 Get You Some Microwaved Kauaiin Marine Life For Dinner? Cc: Others and I can’t tell you who. It does look like RF burns (radiofrequency) to me. The EMF should discharge along the thin edges/tips of fins and yes it looks just like the edges of the dolphin fins around the high powered radars in the Indian River Lagoon, FL. And if you think of gills, they are also very thin and should have a high electron flow discharging across them. 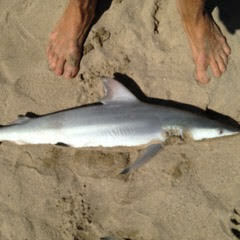 You can even see the burns on the dorsal and pectoral fins. Probably got very close to a high powered ships radar or directed energy weapon of the military. I think there are also “hot spots” of radiation as the atmosphere refracts all that land based radiation back to the ocean surface. Some major dumbassses you are dealing with atop that hill, including NOAA, NASA, DoD, USGS, etc. Thanks !! I asked the producers for a link also. You have to have a password to see the whole show off the Nat Geo page! 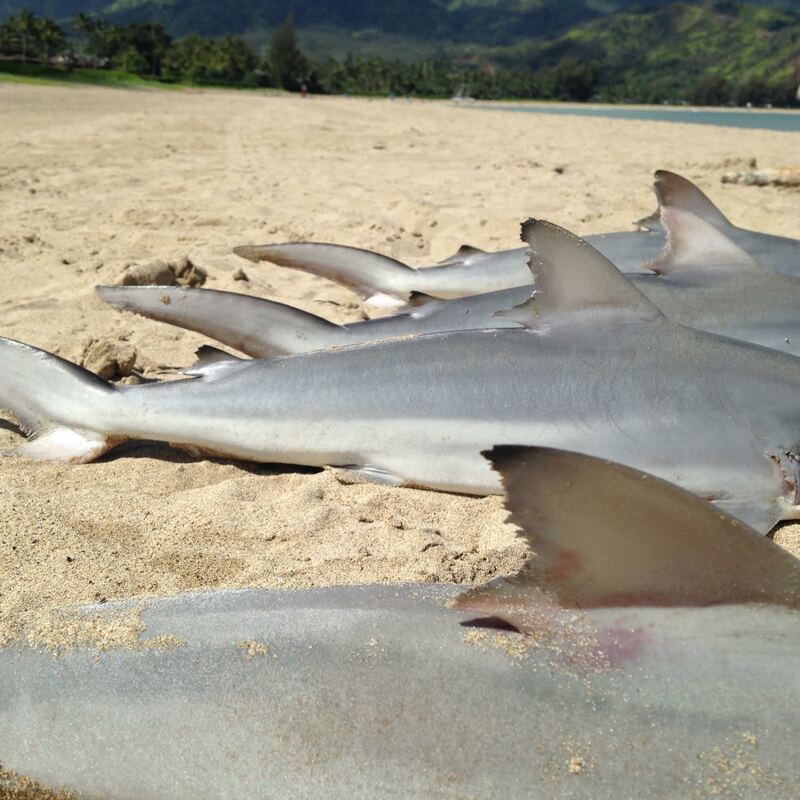 Here are the sharks at Hanalei. Notice all of the dorsal fins have tears and they are bleeding from the gills. This exact same thing is happening to the turtles and Stewart has a report of the exact same thing happening to dolphin that get near the towers and antennas!! This is really damning info for the Navy but we will see if anyone pays attention to it! 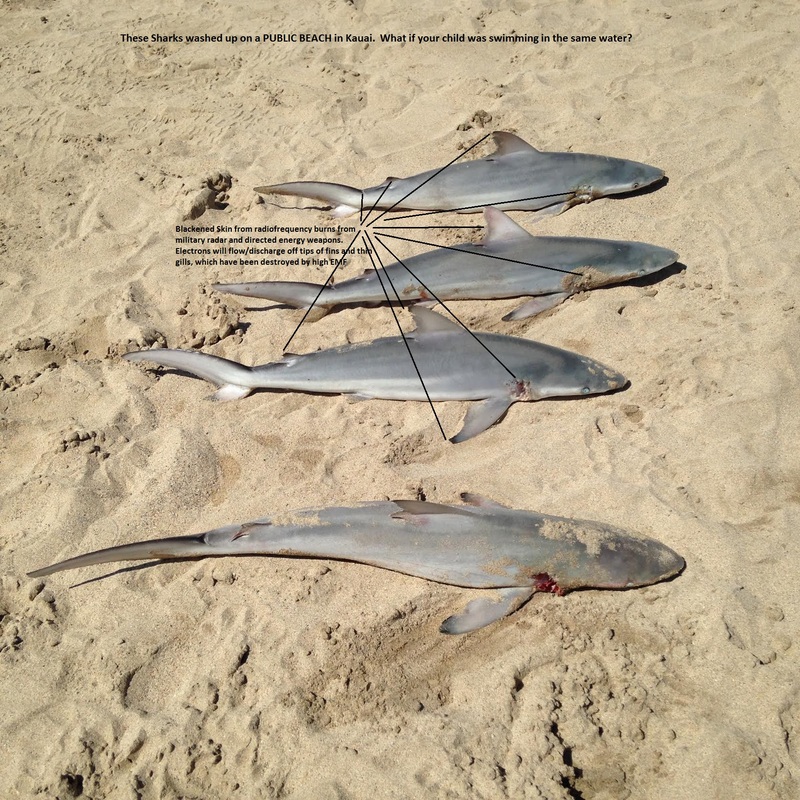 Look at the turtle flipper vs the sharks fins and the tobys fins. 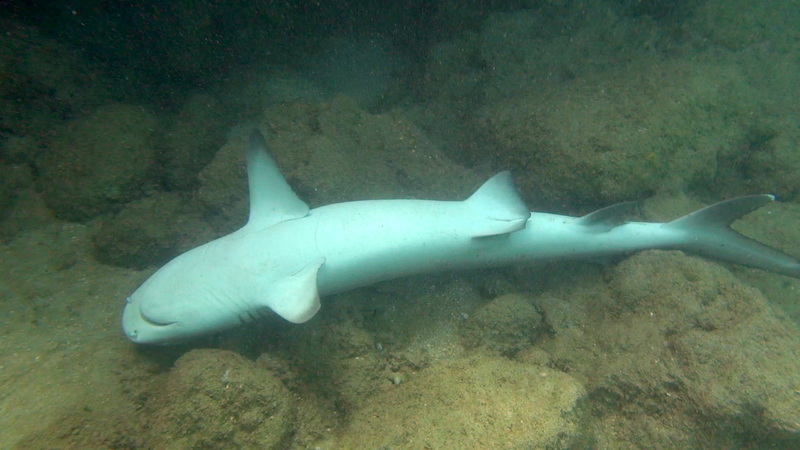 Also the dead sharks I am fining myself at Tunnels. 20% of the tobys are now turning black and loosing their fins. Fee free to forward the pics to the NOAA guys for comment. 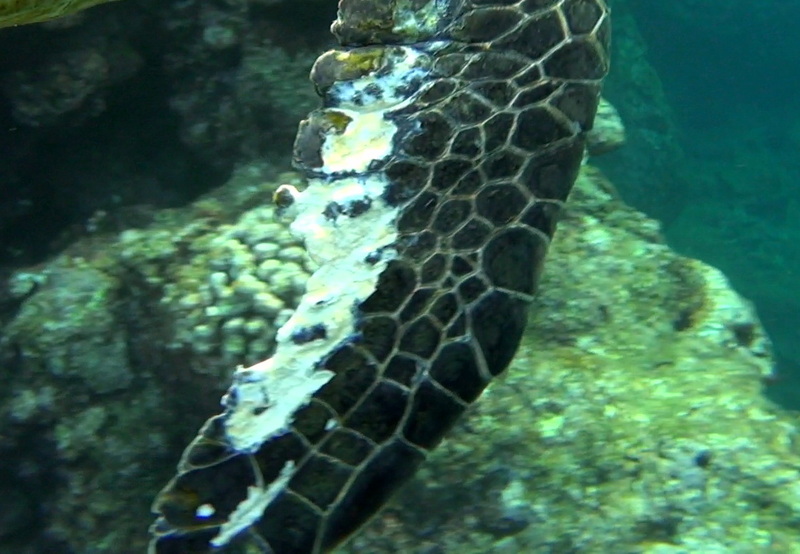 Strong Electrical Charge Along Tips of Endangered Green Sea Turtle, damaging skin and then the reef fish chew it to the bone! 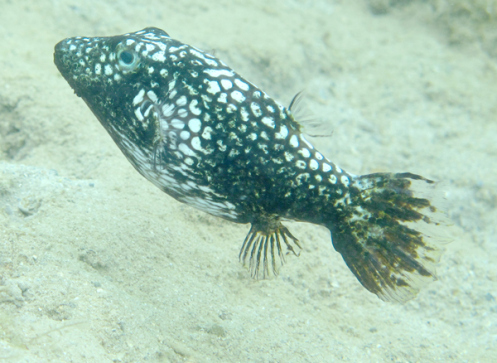 Electrical Discharge along skin of Toby Reef Fish turning him black and diseasing his fins. Chronic EIRP Wattage from Land Based Radars and Antennas. Does not include ships antennas and directed energy weapons. 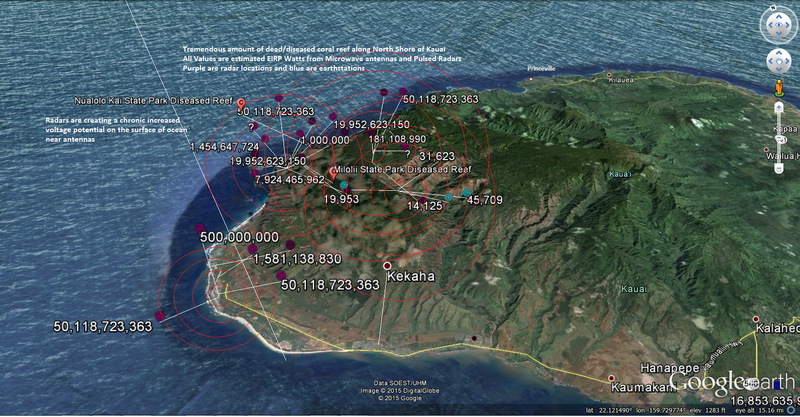 Radiation is increasing disease along the entire North Shore of Kauai.